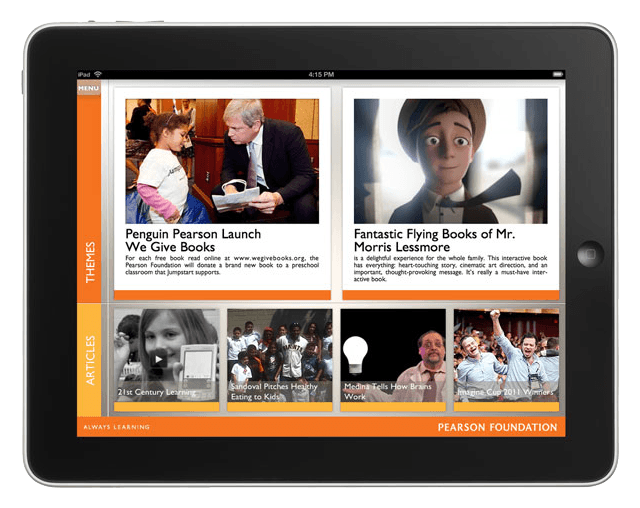 Pearson Core Parent is a visually rich, interactive multimedia newsletter for mobile devices designed to connect parents with stories, ideas, trends and technologies relevant to their K-12 school children. Focused around the transition to the Common Core curriculum, Pearson sought an avenue for engaging parents while establishing trust and comfort with tablet-based content delivery, which plays a key role in Pearson’s future K-12 and post-secondary educational publishing. The mobile applications and associated server backend support CMS integration, cloud-based CDN delivery of periodical content with offline caching and archival, notifications, full-text search, recents, favorites, social sharing and dynamic layout for portrait and landscape rotations with seamless design transitions. Editors provide content in a layout-agnostic form and the application uses smart templates to dynamically flow the full article. DigitalFish with its partner Luminous Publishing designed and built the application and server-side components, delivering to Pearson a beautifully crafted app with a clean “Zine” feel. This project falls outside our typical storytelling-technology focus, but it came in the context of Pearson’s larger goal of using immersive graphics and animation to bring to life complex concepts across the Common Core curriculum. 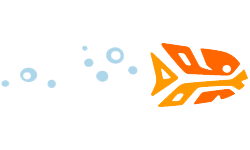 Our work has often involved design and development of integrated desktop tools, mobile applications and server-side components.